*The backing fabric is a beige fabric with white flowers. 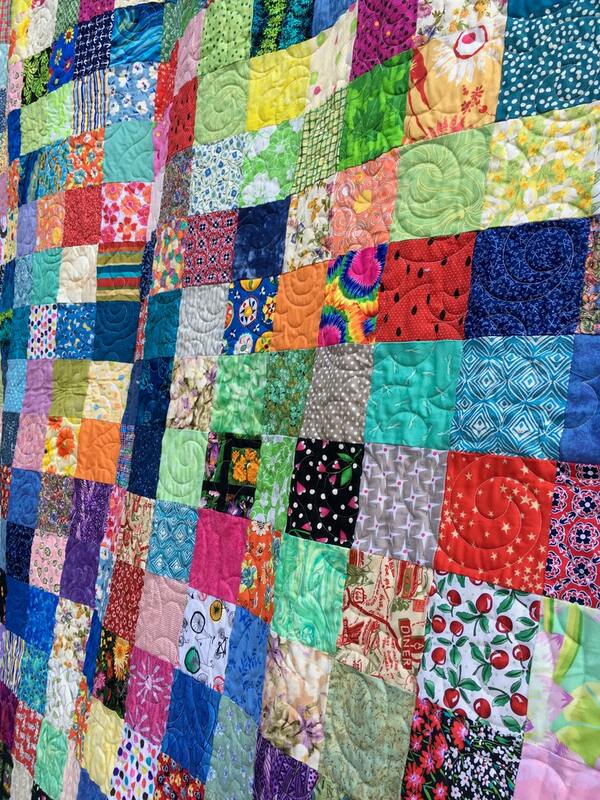 *The quilt has been quilted in a all over paisley design. *The binding is machine attached for durability and matches the front and back. *The batting is a 100% cotton. Quilt measures 79" X 95". It is a Full extra long quilt.